Apple has been on an aggressive suing spree lately: they’ve sued companies like HTC and Samsung and have seen great success with the latter as sales of products like Galaxy Ace, Galaxy S II and Galaxy Tab 10.1 have been banned in some countries in Europe. Today, we received news of Apple being successfully sued by Motorola (and not the other way around), at least in the preliminary stages. It’s about time Apple got a taste of their own medicine. The news comes from Electronista – a blog dedicated to covering the latest and greatest from the world of gadgets – in a post where they discuss the patent lawsuit and the preliminary court ruling. Motorola’s lawsuit against Apple is based two European patents: EP 1010336 (B1) which is about a method of performing a countdown function for a mobile-originated transfer for radio systems and EP 0847654 (B1) which is related to a page status syncing system/method. The legal documents do not state which Apple devices infringe upon these patents, but, according to FOSS Patents’ report, all of Apple’s mobile devices may be involved. Apple knows what it’s like to win injunctions against rivals. It won four of them against Samsung (two in Germany, one in the Netherlands and most recently one in Australia; all of them preliminary). Now it seems that Apple has just come out on the losing end of a patent infringement lawsuit — at least on a preliminary basis even though the actual decision on the merits has yet to be made. This court ruling made in favor of Motorola which suggests that Apple’s patent-infringing devices in Germany cannot be sold by Apple themselves is preliminary at this stage, so Apple will be appealing and attempting to lift it. We will continue to assert ourselves in the protection of these [patent] assets, while also ensuring that our technologies are widely available to end-users. We hope that we are able to resolve this matter, so we can focus on creating great innovations that benefit the industry. This is a procedural issue and has nothing to do with the merits of the case. It does not affect our ability to do business or sell products in Germany at this time. The first look at Apple’s statement suggests that the court’s ruling from today won’t have any effect on sales, but we must consider two key parts of it. Firstly, “nothing to do” is, according to FOSS Patents (and we agree with them), a bit of an overstatement since it certainly must have something to do with the merits of the case for the court to pass an official ruling. Secondly, “… at this time” is an ambiguous statement: perhaps Apple hasn’t been banned from selling products for the next few days or weeks but will be banned soon. Still, a just published report from The Verge suggests that this ruling is only a “symbolic win” for Motorola. 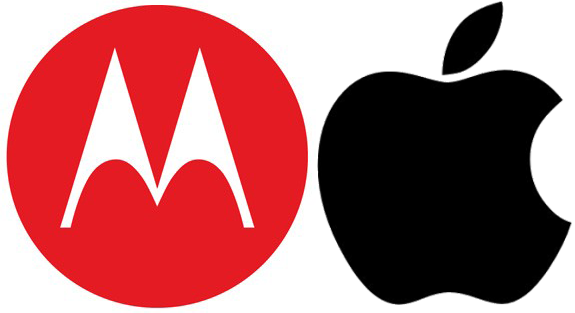 Motorola sued both Apple, Inc. and Apple Germany and It appears that Apple, Inc. couldn’t defend its case while Apple Germany continues to defend itself. Hence, the court ruling we see today is not against Apple Germany which means they can still sell their products. There are conflicting reports running around, so we’ll have to wait it out a bit before it is clear if sales of Apple products are actually banned in Germany or not. Stay tuned!